The generation next of Kashmir diaspora displaying traditional folk songs at the KGNA event. 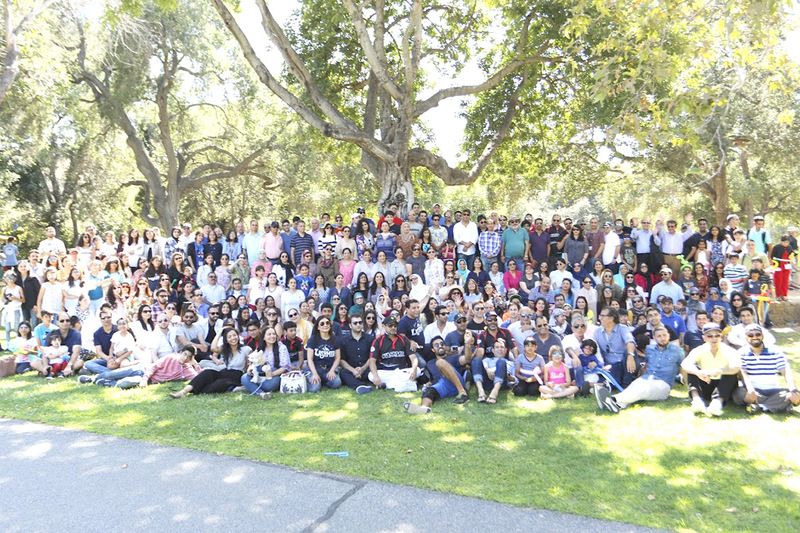 On June 30, hundreds of Kashmiris living in North America (the United States and Canada) travelled to Los Angeles (California) for a get-together. This was the third such event in a row, and for me, the second one. In last three summers, these gatherings have brought together thousands of Kashmiris, living far away from Kashmir. Built on the experience of two earlier events, 2018 event was sort of a fusion, three days filled to the brim with events. The annual gathering is the initiative of two friends Tahir Qazi and Wajahat Qureshi. It took them their own time in discussing and detailing the need to bring the community together in an environment of trust and partnership. Like many Kashmiris living in communities away from the homeland, they talked about reviving traditions, community and heritage. Unlike most people, after some batta (rice) and chai (tea), the two friends did not just forget this idea but actually started putting a plan into action and formed the Kashmiri Gathering of North America, later renamed Kashmiri Group of North America (KGNA). Kasheer Beath (Kashmir songs), Kasher darbar (typical Kashmiri style of interaction), Till-dar Pheran Teh Wazvaan (the embroidered pheran and the seven-course mutton feast), is this all that Kashmir means to Kashmiris once they leave the homeland? In fact being an active part of the Kashmiri diaspora is more than these symbolic representations of Kashmir. From the very beginning, KGNA began addressing issues of Kashmiri diaspora: youth development, local and international community impact and the revival of Kashmiriyat. This year’s KGNA event started with a recitation from the Quran, followed by a warm welcome by two of the earliest immigrant couples in the LA community. Farooq Kathwari, one of the best-known Kashmiri business leaders in the world, talked about the journey of the diaspora community in the last few decades. For the next generation, he shared his personal experiences. What was exciting was that youth actively participated, willingly contributed and actively engaged in all the sessions. They were busy with networking; they acted in plays, were part of traditional arts, music, in addition to formal discussions and debates. These events were organised for the younger children, in the form of Camp Kasheer. Whether Kashmir can be a viable independent state? Whether Kashmiri diaspora is doing enough for Kashmir? Whether new marriages should primarily be within the Kashmiri community? Professionals from various fields engaged with youth to help them with information on career choices after completion of their studies. Newly arrived international students met with each other to discuss issues of common interest. There are a few groups working in Kashmir on various fronts. The working of Kashmir Education Initiative (KEI), CHINAR International, Revive Kashmir, Tariq Memorial Foundation, and KGNA was discussed at a panel to share lessons learned, and how to make these efforts more effective. At the session, Koshur Darbar, the Kashmiri panellists, poets, and scholars shared and discussed recent books, works of art, and issues of contemporary and historical nature. Wajahat Dedmari, an LA-based hospitality professional, lead the event by describing the historical origins of some phrases and saying that emanated from the brutal Dogra rule on Kashmir. Dr Ather Zia of the University of Northern Colorado focused on the recent book Resisting Occupation in Kashmir (The Ethnography of Political Violence that she co-edited with Haley Duchinski, Mona Bhan, and Cynthia Mahmood. Daisy Khan read excerpts from her recently published book, Born with Wings. Popular Kashmiri poet, Madhosh Balhami, had sent a few readings of his poems that were screened during the session. Abbas Zaffar read from his recently written poems in Kashmiri language and exhibited his painting skills by creating an amazing painting on stage in 10 minutes. Arshad Mushtaq, a Kashmir based visual arts director, talked about theatre and its importance in telling stories of Kashmiris, while Shuja Paul, a director who works in Hollywood, conducted a hands-on acting workshop. The real highlight, however, was a play performed at the cultural evening. Adapted by Nahida Nazir from Arshad Mushtaq’s Bea Chus Shahid (I am Witness), Nazir was part of the cast as well. There were not many dry eyes amongst the audience by the end of the play. Another hugely successful and well-received production was a display of traditional clothing, a fashion show. 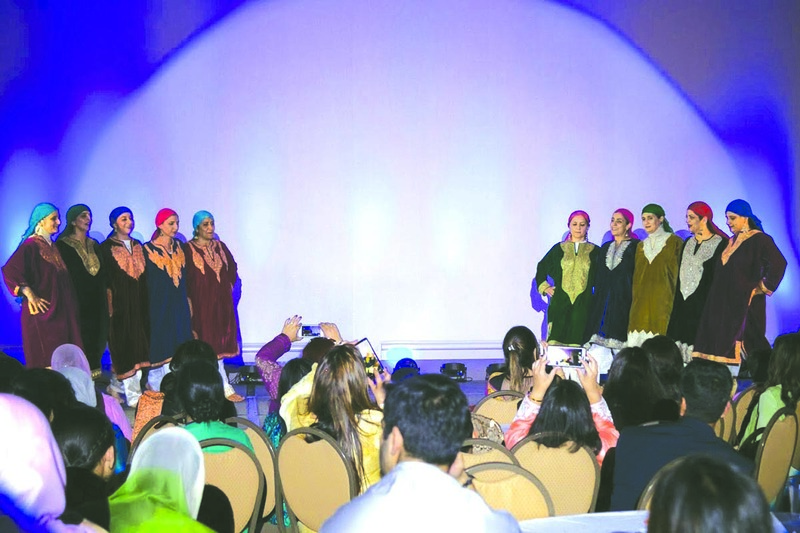 The main premise of the show, according to creative directors, Naira Tariq and Rahat Sheikh, was “to give a platform to the various talented Kashmiri designers who at times never get a chance to showcase their work”. The brands ranged from Kashmir based ones such as Sadia Mufti’s Hangers-the-closet and Iqra Ahmed’s Tul-Palav, both offering contemporary style pherans and Nadima Nazir Ali’s Kasheer – a brand specialising in Kashmiri sozni work on clothing for men, to NYC based Kashmiri designer Nosheen Malik’s Humzaara. Sufiyan Malik, a young rabab player visiting from Kashmir, delivered solo and group performances, enthralling the audience with his skill. It was supposed to be a night of entertainment in the form of skits, plays, rou’f, music, songs. But like much of the paradoxical reality of Kashmir, there was laughter and beauty and lights and festivities as well as a sobering piece of art, in the form of the play that told a painful reality. Some of the most likely groups to benefit from KGNA are start-ups and non-profits. The biggest impact, according to KGNA marketing Lead, Marina Sophie, will be on non-profits because we bring the community together and Kashmiris in north America get involved by volunteering their time or donating money. The next KGNA community gathering is scheduled for 2020 spring. For a chance to be a part of KGNA 2020 contact info@kashmirigathering.com. Note: In the print version of this article a typo was made in the line “Unlike most people…..” The mistake stands corrected.